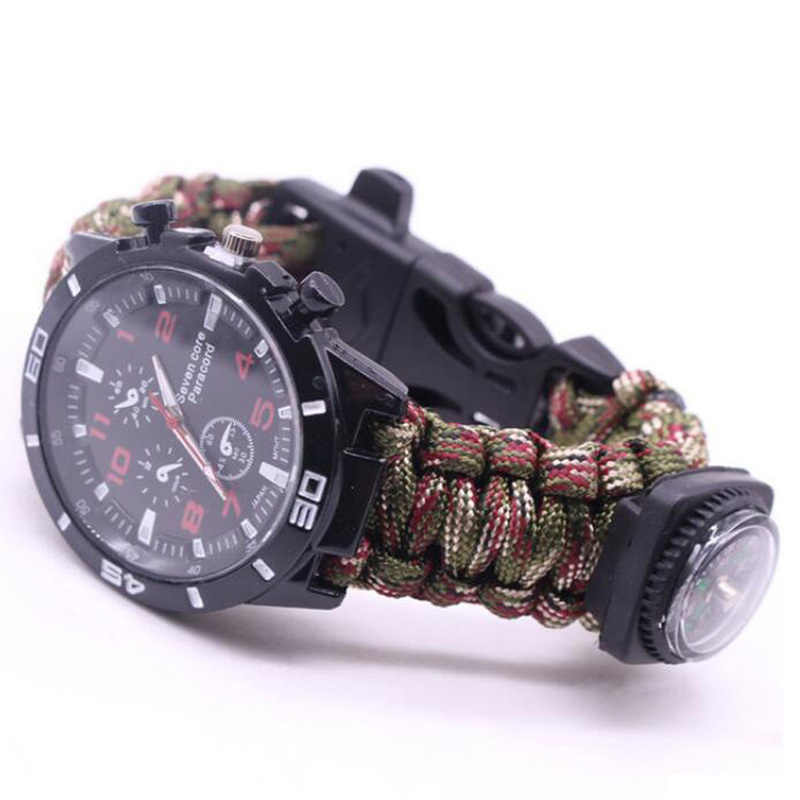 According to the “International Air Embargo Regulations,” prohibiting the transport of flammable materials,so this product is out of flint. 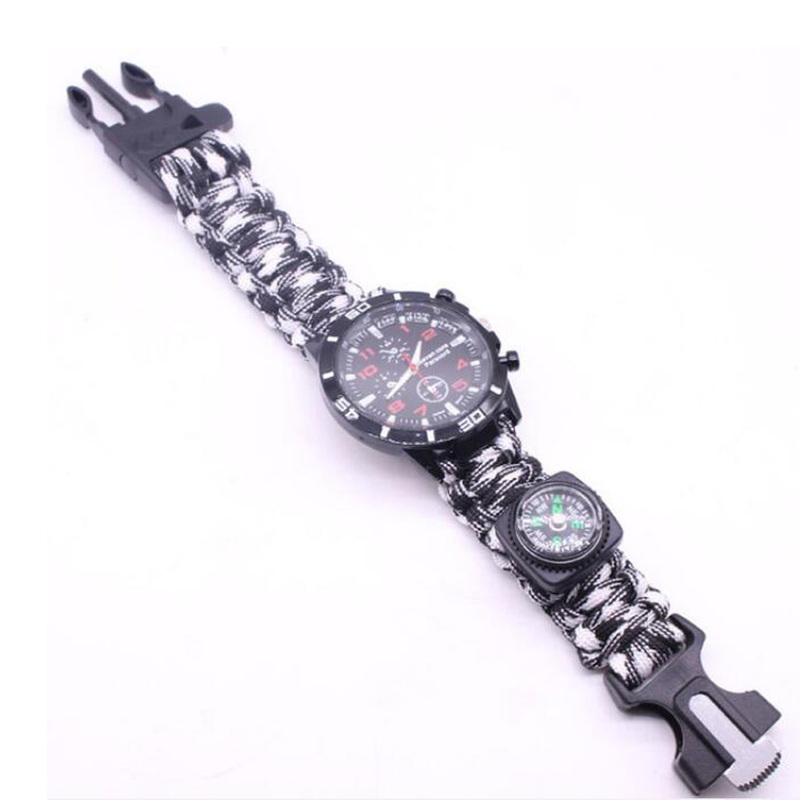 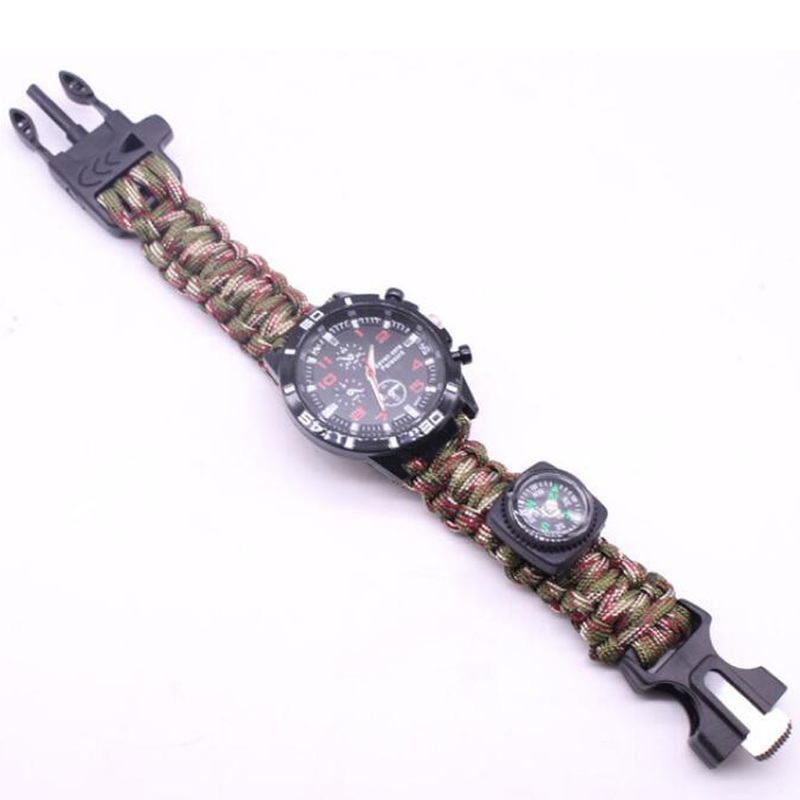 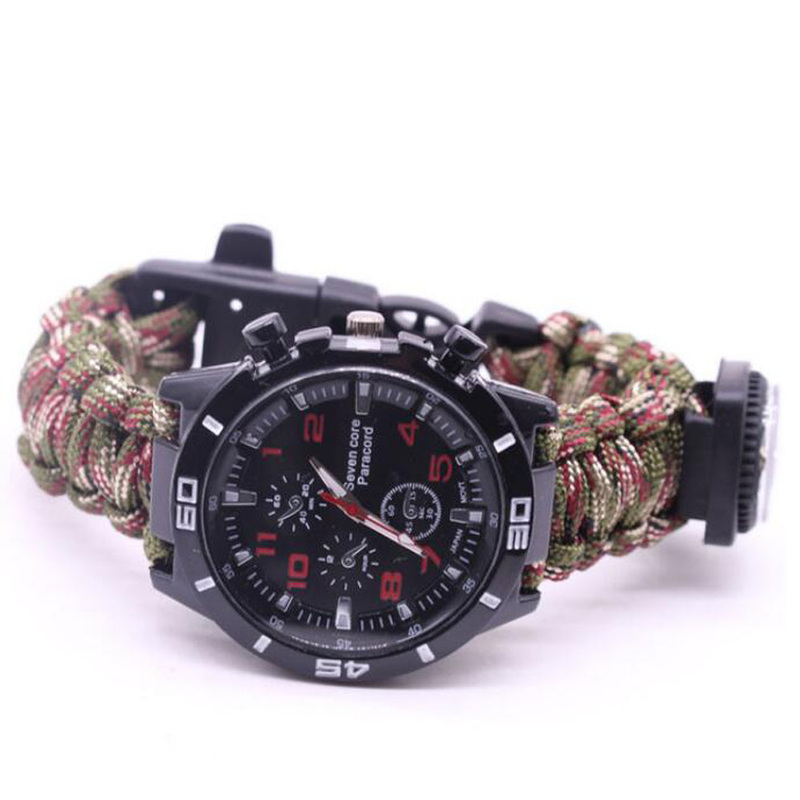 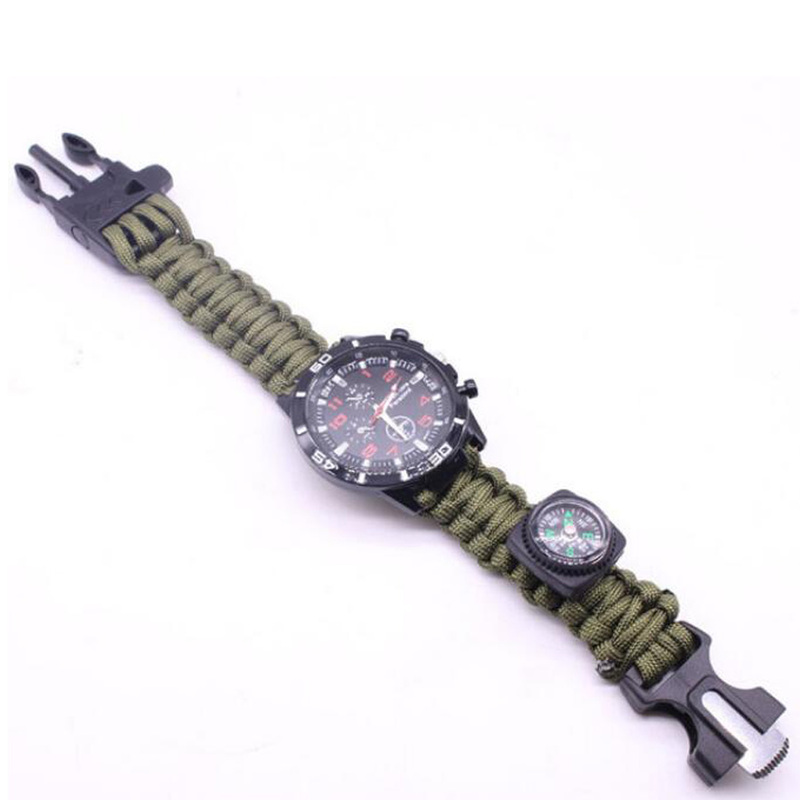 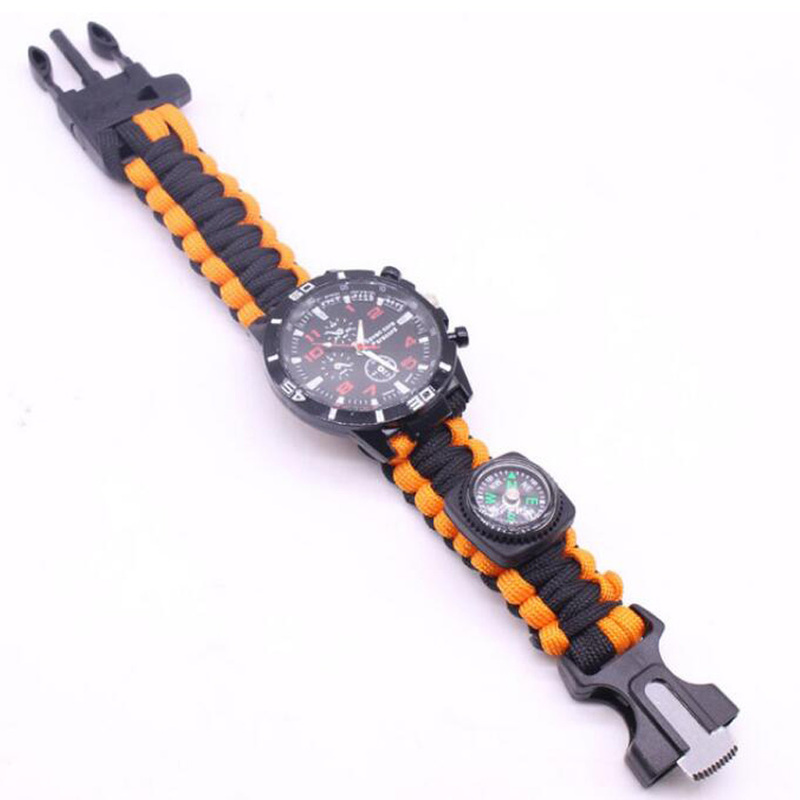 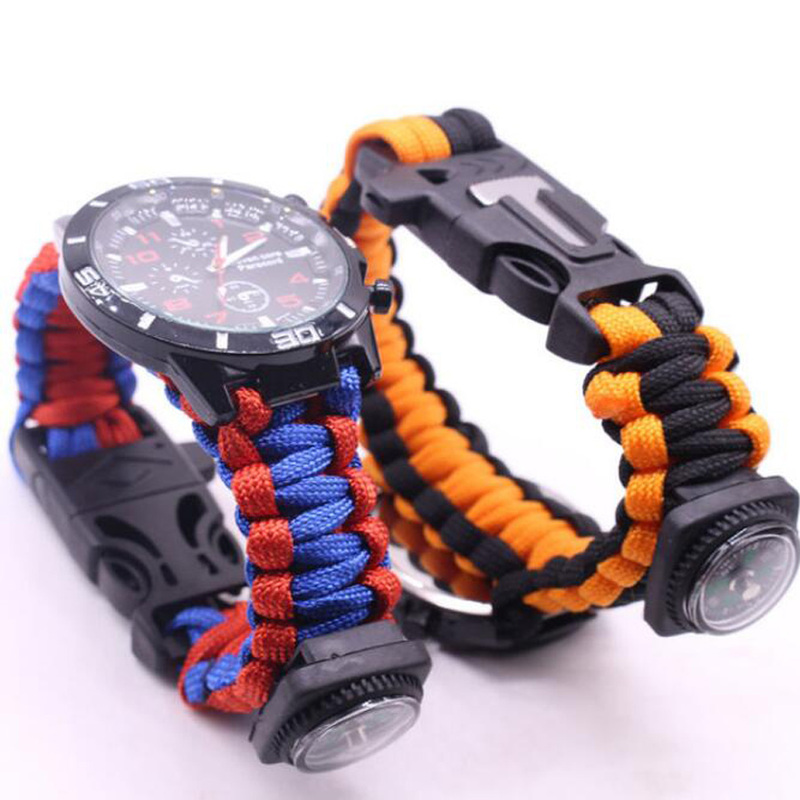 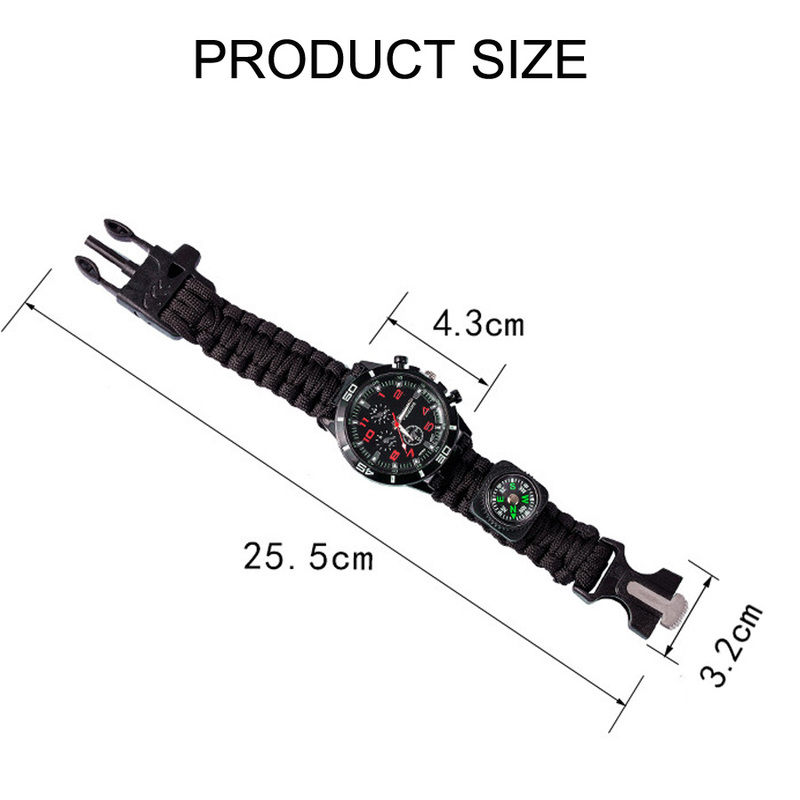 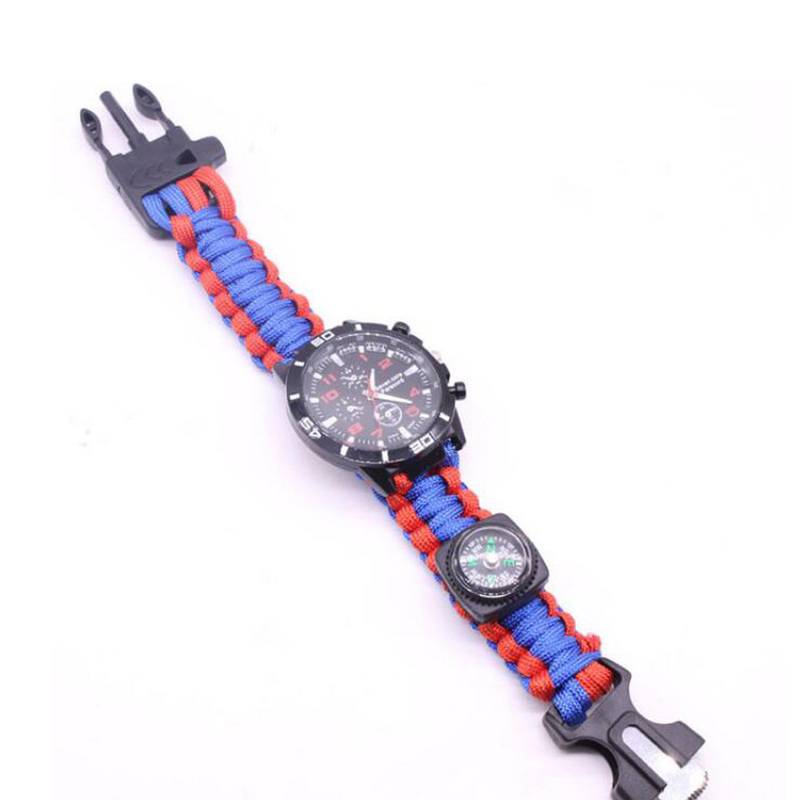 [Travel spare wilderness survival bracelet]: If necessary, it can be used as trailers and first aid as a piece of rope (4 mm in diameter and 3.2 to 3.8 meters in length). 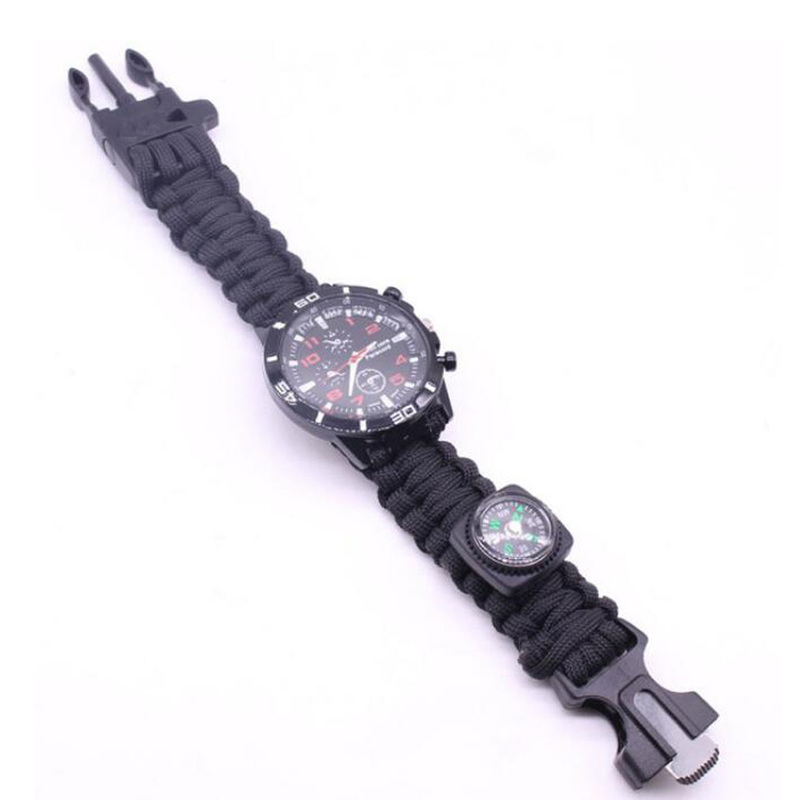 The materials used are special for umbrella ropes, the same as the ropes used for sea boats, and have the advantages of corrosion resistance, anti-aging, etc. 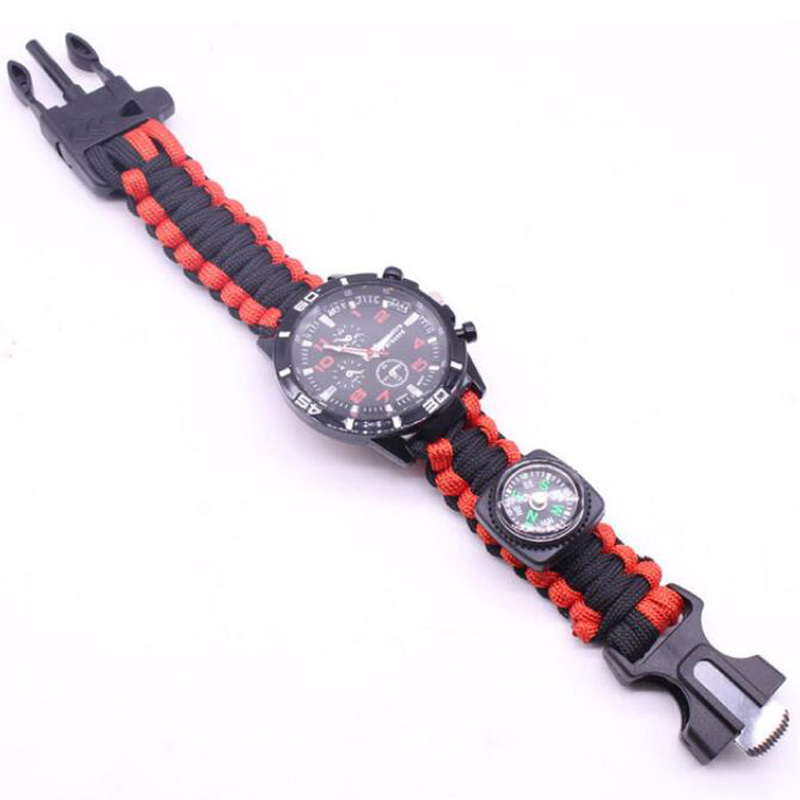 The single rope tension is about 150 kg!